QuickDiff is an interesting tool that analyses differences in two very similar texts. 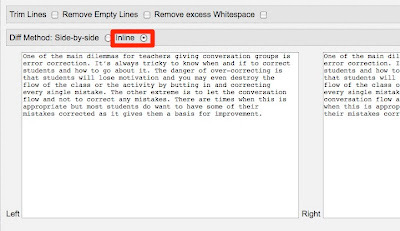 It was actually developed for examining programming code, but could be a really useful tool to use with students to get them to look more closely at the texts they write and notice the mistakes and corrections and differences in the text. You simply copy and paste your text into the two fields. Then make any changes in the left hand field. Then you click on the compare button and the differences will be highlighted below. You could use this as a simple marking tool to show students where their errors are, just by printing up the results, or you could try to get students spotting their own errors. When your students submit their texts to you for correction you can make another copy of their work without any errors and then ask them to compare and find where you have made changes. Ask them to highlight any differences they find between the texts. Then ask them to paste their original text and your corrected text into the text fields in QuickDiff and see if they found all the differences. You could also cut and paste a text from a news site or wikipedia and add some errors for students to find, then give them the source of the article and they can cut and paste into QuickDiff to see if they have found them all. Remember though that the corrected text has to go in the left-hand field and the original in the right and you need to select 'Inline' before you click 'Compare'. This is an interesting tool to get students looking more closely at their work and finding their own errors rather than just looking at their marks and moving on, and will help train them to 'notice' more about written text. I came across these videos today while I was trawling through YouTube and was instantly struck by what great materials they would be for EFL ESL students. I found two sets the first produced by musicANDmuffins and the second SereneRhapsody. There are five videos in each collection and they all use songs with quite clear simple lyrics. The animation is marvelous and clever, though very simple and clearly illustrates the meaning of the songs while showing the lyrics. It really wouldn't take much work to turn each of these into a short language lesson, or you could use one as an example for your students and get them to draw simple illustrations for a song and create their own video. These are fantastic authentic materials. Be sure to subscribe to their channel to find out when any new ones come along. 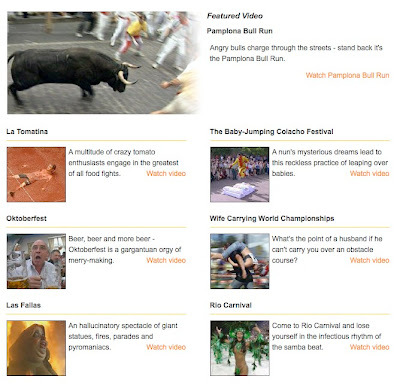 You can find video activities for EFL ESL students here. I'm never really sure what the value of being able to read quickly is and whether this effects the amount of information you actually retain when you read, but I do know that getting EFL and ESL students to read in chunks and getting them to read as much as possible can be very beneficial to their language development. 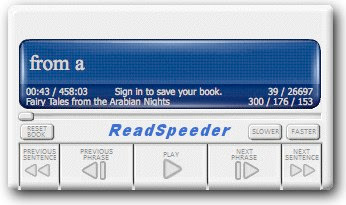 I've come across quite a few online speed reading sites, but so far I think ReadSpeeder is the best. 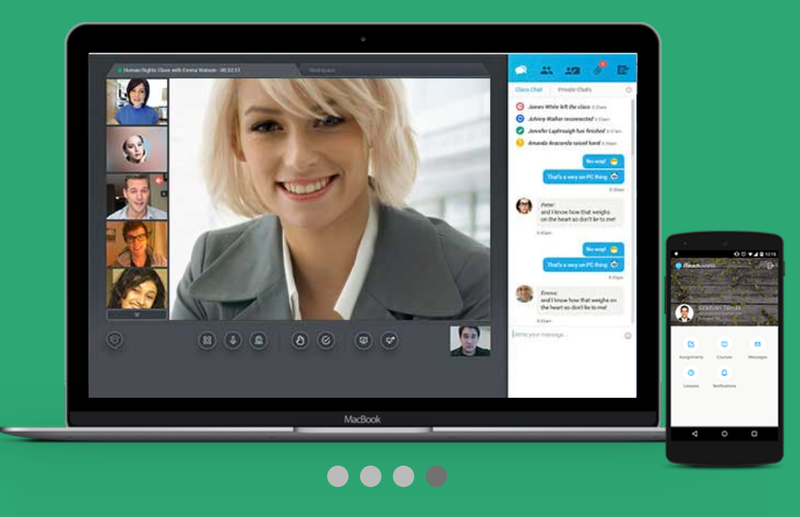 The interface is quite simply designed and easy to use. It looks just like the kind of controls you would find on a cassette or CD player. ReadSpeeder chunks the text and you can change the speed at which you see the chunks of the text or pause it and just click to got to the next phrase as you read. It has its own built in library, so there are loads of classic books that students can get started with straight away. There is also a neat bookmarklet. 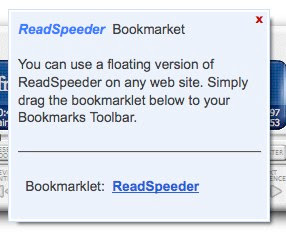 You drag it to your toolbar, then whenever you get to a web page you want to speed read, you can just click on it and it will be played through ReadSpeeder. If you register you can start adding and saving your own texts simply by cutting and pasting. Perhaps best of all though is that you can access a dedicated mobile site (http://m.readspeeder.com) on i-phone or i-Pod Touch and access your saved books. This is a great feature as students can work alone at home or anywhere else on improving their reading. It's also quite a good way to read on an i-phone as it makes the text bigger. As I said, I'm not sure if being able to read faster is such a great skill, but this is still a good way to get your students working through texts and trying to understand 'gist' without them stopping to check every word and also a good way to get them seeing text in chunks. You could use it as I said above to get students to read for gist and just see how much of the text they understand after reading through one time. You could use it as a way to get students to revise a text. You could even get students to recite the text as they speed read it and gradually try to improve the speed. You might well have to start very slowly. Some students can find this kind of time challenge motivating and it can encourage them to repeatedly read the same text to improve their speed. Well, I hope your students enjoy trying ReadSpeeder. It may not be the best tool for every text they read, but it's a good way to add a bit of variety to your reading activities and to give students access to a tool they can use outside of class (if they have an i-Pod or i-Phone). You can find 35 + online reading activities for EFL ESL students here. What'sOnWhen is really useful travel site that allows students to find out about cultural events and places all around the world. 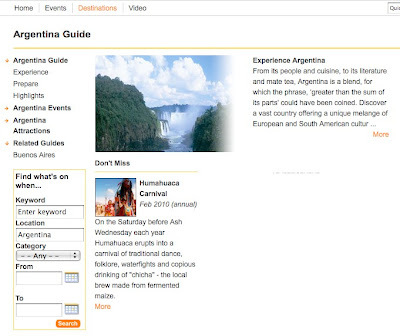 You can either search by city or country, enter keywords and search or browse destination or the collection of videos related to specific events. The content is really simple to access and is well organised and the video clips are small and short - not really appropriate for a single computer classroom, but great for students doing research or activities work in alone or in pairs on their computer. 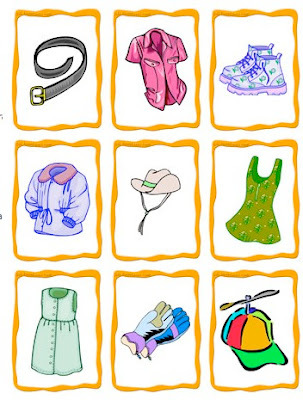 There are a number of tasks you could set students using this material. Get each student to think of a country or city they would like to visit, send them away to research an event that is happening in that city / country then they can come back to class tell other students about the event and try to persuade them to come to the event with them. You could get students to browse through the video section watch some of the videos and decide which place they would most like to go to. You could get students to research their own country, find out what events are being advertised and see if the information is accurate. They could then create their own content based around any events that happen in their country that have been missed, using the website entries as a model. I really like the site because the information comes in different media and is very much split into the kinds of small digestible chunks that lend themselves to online study and language development. This isn't a site that was designed for education so their is quite a bit of advertising, but your students will need to get used to noticing and ignoring that. I hope you find it useful and your students enjoy it. This has been a pretty busy week for me, mainly because I delivered my first online technology training presentation (8th September 2009) using the Adobe Connect Pro platform. I have to thank Jürgen Wagner and Verena Heckmann, e-learning specialists at the Landesinstitut für Pädagogik and Medien in Saarbrücken Germany, for offering me this opportunity to get online and promote and share some of the technological tools and activities I believe can be so helpful to EFL and ESL teachers. My advice is to jump the first 20 mins (Me defining Web 2.0) and get straight into the good stuff (the tools and how to use them). Feel free to print and share the booklet or sections of it if you find it useful and by all means leave a comment if you have any suggestions for the next edition. 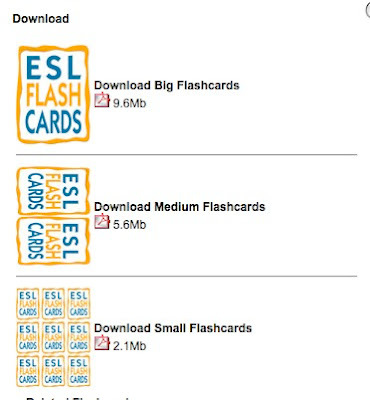 Free ESL Flashcards is a simple site that delivers a very simple but really useful product for free. 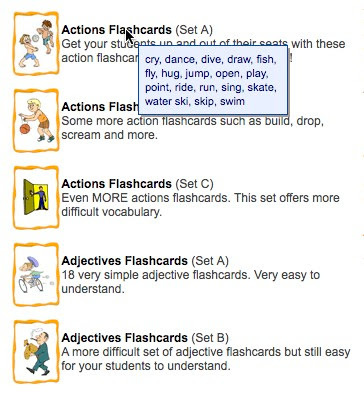 Flashcards! One of the most useful classroom tools every invented for language teaching! There are loads of them on this site and they are really nicely drawn, easy print and quick to download. Most of all, like it says on the box, they are free. The sets are listed alphabetically and hovering the mouse over the set title will show you what images are in the set. Simply click on a set title to see the complete collection. Then simply download the set at the size you want them. This is a really handy resource put together by Eric. It does have some advertisements, well quite a lot, but then everyone has to eat, even Eric, and if you want to assist him in making a living you can leave a donation for him. Great stuff Eric. Hope you are making a reasonable living from this. Biographicon is a kind of who's who of anybody. It's actually a biography site where anyone can go and add information about themselves or anyone else! This may seem a little bizarre, and it is, but the way the writer interacts with the site is quite interesting. You simply type in the name of the person who's biography you want to create and then click a link to generate questions about that person ( or yourself). Completing the answers to the questions enables the site to generate the text for the biography. It really couldn't be any easier. If you don't like a question you just skip it. I actually found it a lot of fun and some of the questions are really quite interesting and searching. This is a great tool for students to try out. Students could write and share their own biography. Write the fictional biography of a character from a book they are reading. Create their own fictional characters' biographies as the basis for brainstorming their own creative writing project. Write a biography of one of their family members using the questions for the basis of an interview they do for homework. Once biography has been created you can also discuss it with students by clicking the discussion link. This is a really simple but very usable site. It does worry me though that it seems like anyone can go and edit the biography of anyone else, but I guess if you treat the thing like harmless fun then it isn't so serious. I hope you enjoy this site and make sure you don't edit my biography! Oh perhaps it is serious after all?? ?